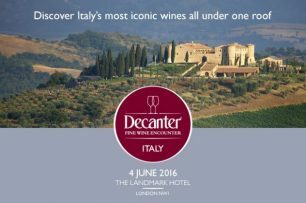 Maisons Marques et Domaines will be exhibiting at this year’s Decanter Italian Fine Wine Encounter at The Landmark Hotel, London from 11:00 – 17:00. Representatives from Pio Cesare, Castiglion del Bosco and Marchesi Mazzei will be on hand to talk you through their wines and to explain the history of the wineries. Come and find us at tables 22 (Pio Cesare), 68 (Castiglion del Bosco) and 59 (Marchesi Mazzei). Contact us if you would like to find out more. By continuing to browse the site you are agreeing to our privacy & cookie policies.